The exclusive curved bit design of the JP bit by Korsteel provides comfort and enhances performance! 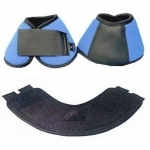 The shock absorbing liner absorbs energy from overreaching and protects the vital areas of the hoof. 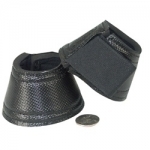 Mini bell boots are 2" tall, just for those little guys. 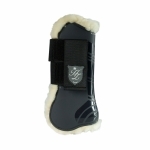 Neoprene No Turn Bell Boots keep the boots from turning for more protection. Your standard bell boot trimmed in thick matching fleece. 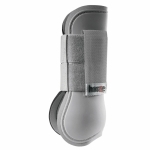 Pro Choice BALLISTIC Overreach Boots - Great Protection Boots. 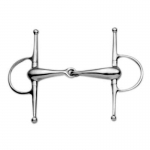 Provide the ultimate in hoof and soft tissue protection for performance horses. Quality constructed from Ballistic material, heavy duty interchangeable velcro straps. 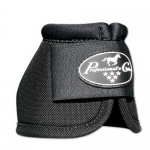 Fleece cuff to help prevent chafing and a traditional rubber base for protection of the horse's heel.